Hmmmmm…To write in the first or third person? Being that this is a blog and should inherently be a little less formal than some glossy magazine I’ll opt for the first. My name is Dustin Pinney. 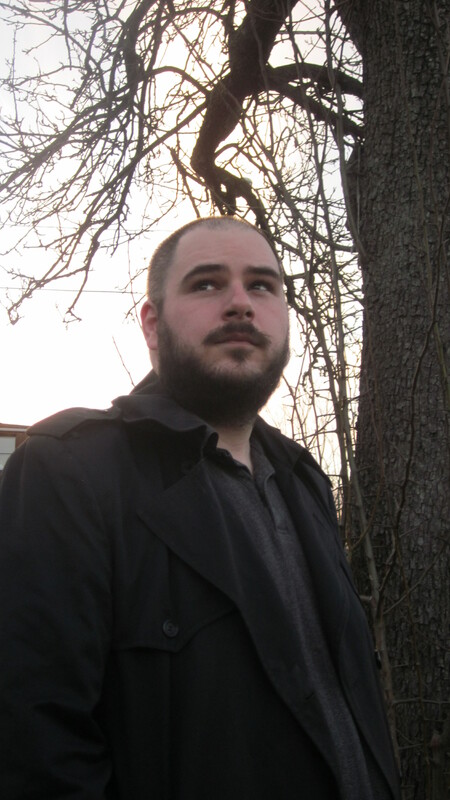 For the past few years I’ve been publishing short fiction under the name D. R. Pinney. For some inexplicable reason I thought it sounded more authory than Dustin. Then I got my first story in print and saw the D. R. and cringed. Were people going to start calling me Doctor Pinney? I wondered. Yes, they did. Often. Too often for it to be cute. When I decided that writing some long and intimate blogs about Doctor Who (not nearly as creepy as it sounds) would be fun I realized writing them as Doctor Pinney would be a tad redundant. The D. R. was dropped -kinda- and you can now call me Dustin. I guess that’s what I was getting at. Geek seemed to hit a little closer to home because it had nothing to do with book smarts. Lately though it’s come to mean something akin tech savvy, or a cool guy who just happens to like comics. I’m neither of those things either. If I had to put a label on it (and I don’t suppose I do, since nobody asked) I’d go with Slacker. You know those shlubs in Kevin Smith films who sit around all day feeling sorry for themselves, ignoring aspirations and settling for small town soap opera garbage and musings on pop culture? That’s me. Don’t let the fact that I’ve had stories published in both online and print markets fool you. I am one lazy dude. How lazy? I still haven’t finished watching the first season of Battlestar Galactica and it’s sitting right in front of me. Other than that, I live in a small town that I hate, in a state that I hate, with a girl who is far too attractive for the likes of me yet wants to marry me anyway (that’s a strong plus). I grew up in the same town and graduated from the same high school as Twilight Zone creator Rod Serling. I don’t really like video games unless they exist on the NES, SNES, or Sega Genesis. I’ve never been to a convention of any kind. My first love was Star Wars. My current love is Doctor Who. My goal is to one day become best friends with Patrick Rothfuss. I still have a soft spot for Start Trek even though I know how much of a hack Gene Roddenberry was. And I guess I’ll stop there because I’m sure I’ve just lost any possible readership I may have ever earned with that last comment.